Please call for details, thanks. Guitar / Vocal, Bass, Drums. For more info, please call. . . Peace, Love & Soul is what its all about. Terrance, with his trio, played for my husband's surprise 60th birthday party in our back yard in June. I had around 140 friends and family for the event and they were all so impressed by Terrance and the guys! They played for 4 hours, the music was great...they "made" the party! Terrance worked with me on a special gift for my husband...they played the music for Uptown Funk, as my kids and I did our own version of the song. Would have them back in a heartbeat! The Terrance Vaughn Trio performed at our recent fundraising gala at the Edgewood Country Club. Terrance was easy to work with and flexible. The music selection was perfect - a kind of easy listening jazzy sound. Many of our guests made a point of saying how much they enjoyed "the band." They were totally professional. Will definitely invite them to play again! Thanks Vicki, we had a great time at your event as well. Looking forward to your next gala. I do not give much praise, usually. I am inclined to not like any band unless they are seriously good. I have to say, saw Terrance and his trio tonight at Cioppino's and I was floored. The band can play. I can't wait to take my girl to see them. She's the kind of girl who appreciates quality, you know what I'm sayin? All these great reviews you are reading here? Believe them. This is a class act. Terrance with his trio played the perfect party for our parents' 25th anniversary. They learned our parents' wedding song just for the occasion, and had a bunch of 50-somethings up on their feet dancing all night. Everyone kept coming up to me and asking how we got the band -- they were truly the hit of the party. And of course, Terrance was entirely professional and easy to work with. I would recommend them for any private event -- they can really tailor their set to the room. 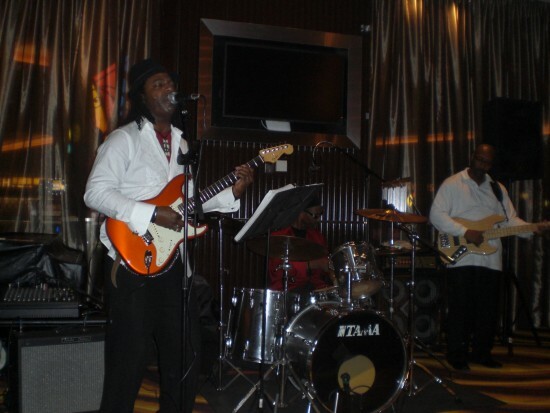 We recently saw Terrance Vaughn perform at Jergel's in Warrendale on March 12, 2013. 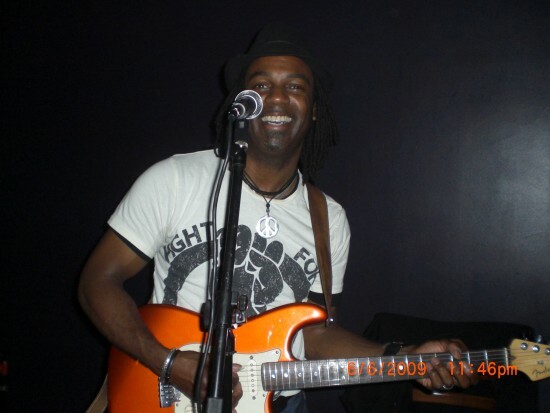 Terrance is our favorite local performer, and we have seen him perform in a variety of venues. Terrnace is one of the most talented and versatile musicians that I have ever seen. Performing is his passion. Terrance is equally impressive when he does a solo act in a small venue, his trio in bigger venues, or his 9 piece band in larger venues, such as Jergels. 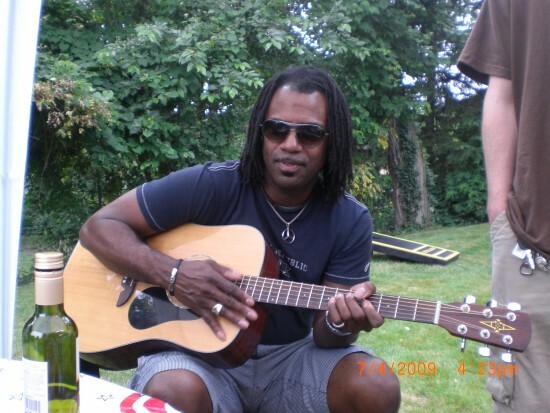 Terrance can play every genre from mellow to rhythm and blues, funk, and hip hop. His rendition of Prince's Purple Rain brings the house down. His guitar playing and vocals are so amazing and comparable to Prince and Hendrix. Terrnace is a consummate professional and a class act. He is always so gracious and appreciative of his fans and gives his all in every performance. Terrance, thank you for your incredible music. Pure Enjoyment! Go see Terrance! We were on vacation, and saw Terrance and his band at the Pittsburgh River Casino. What a show, they are really good, and really do a great job playing to the crowd. After a long evening of playing, Terrance took the time to talk to myself and my wife, class act for any event IMO! It was great to meet you & wife at Rivers Casino. Have a Happy Holiday Season from me & the fella's. Terrance and his band are absolutely amazing! We met with Terrance multiple times leading up to the event and he went out of his way to make our event unbelievable. Terrance played solo during cocktail hour and then had a 6 piece band for the reception itself. We highly recommend Terrance to anyone interested in an amazing band that will play every genre you can imagine. Best Band for Our Wedding!! We really enjoyed such great entertainment for our wedding! Our guests raved about the band! Our guests are still commenting on how great the band was that night. Thanks Terrance! this man obviously loves music... you can see it in his face when he plays. enjoyed him very much! Price Range: Please call for details, thanks. The Audience comes first at our shows. They are given the opportunity to warm up to the band without being forced to by intrusive volumes. Most times even if the audience is there for networking or dinner they are engaged with the band midway thru the evening. If its a show where nothing else going on but the music then, we give it to them accordingly. You will eventually get on the dance floor. 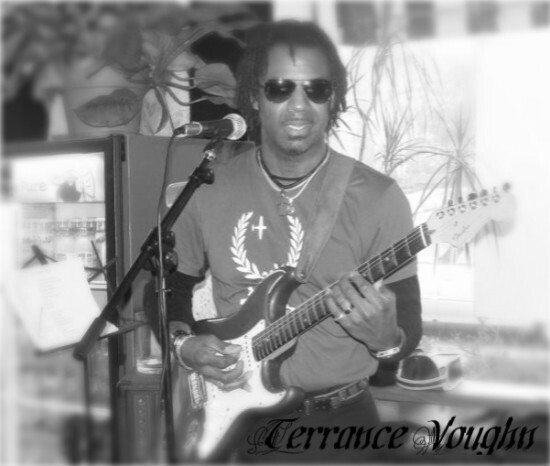 Terrance Vaughn - Guitar / Vocalist - Born in Pittsburgh, PA has traveled to many countries around the globe & has a eceletic sense of taste for music which is present in his performance. Influences - Jimi Hendrix, Prince, Nile Rogers & Eric Clapton to name a few. Rhythm & blues, Funk & Rock all in one. Our music variety appeals to a broad range of listeners. We are often asked to describe our demographic - its any where from 18 - 60. Hard to imagine but, true. Older popular classic's work for some folks, more contemporary numbers work for another group all together. It normally turms out that all groups are engaged in the total music experience. Our setup is fairly simple. Our sound comes off like a 5pc band with 3pcs. We have a very streamline pa & lighting system nothing extravagant, we'd get a sound person for that. July 01, 2018 • 5:00pm - 8:00pm Churchill Haus "2018 Car Cruise"
February 09, 2018 • 7:00pm - 11:00pm Revel & Roost - Duo - Market Sq. October 13, 2017 • 7:00pm - 11:00pm Revel & Roost / Duo / Market Sq. March 03, 2017 • 8:00pm - 11:00pm Donato's - Duo C.A. October 05, 2016 • 6:00pm - 9:00pm Walnut Grill / Robinson - 1/2 price Wine Bottles all day! June 22, 2016 • 7:00pm - 10:00pm DONATO'S - Solo - 41 Fox Chapel Rd. February 25, 2016 • 7:00pm - 8:00pm Cioppino - TRIO - Every Thursday, 7 - 11pm, 2350 Railroad St. in the Strip - 412-281-6593 for resv. February 20, 2016 • 7:00pm - 8:00pm Walnut Grill - Robinson, DUO - 8 - 11pm, Robinson Settlers Ridge 412-7472100 for resv. February 13, 2016 • 7:00pm - 8:00pm Parlay Lounge @ Hyatt Hotel at the Meadows, - Duo 8 - 11pm, Washington, PA, 724-222-7777 for resv. February 12, 2016 • 7:00pm - 8:00pm Donato's Restaurant - DUO - 8-11pm, 46 Fox Chapel Rd, Fox Chapel - 412-781-3700 for resv. January 30, 2016 • 7:00pm - 8:00pm Walnut Grill - Duo 8 - 11pm / Settler's Ridge in Robinson Twp. 412-747-2100 for resv. January 28, 2016 • 7:00pm - 8:00pm Cioppino - Every Thursday - Trio, 7-11pm 2350 Railroad St. in the Strip - 412-281-6593 for resv. January 21, 2016 • 7:00pm - 8:00pm Cioppino - Every Thursday - Trio, 7-11pm 2350 Railroad St. in the Strip - 412-281-6593 for resv. January 16, 2016 • 7:00pm - 8:00pm Parlay Lounge @ Hyatt Hotel at the Meadows, - Duo 8 - 11pm, Washington, PA, 724-222-7777 for resv. January 14, 2016 • 7:00pm - 8:00pm Cioppino - Every Thursday - Trio, 7-11pm 2350 Railroad St. in the Strip - 412-281-6593 for resv. January 07, 2016 • 7:00pm - 8:00pm Cioppino - Every Thursday - Trio, 7-11pm 2350 Railroad St. in the Strip - 412-281-6593 for resv. 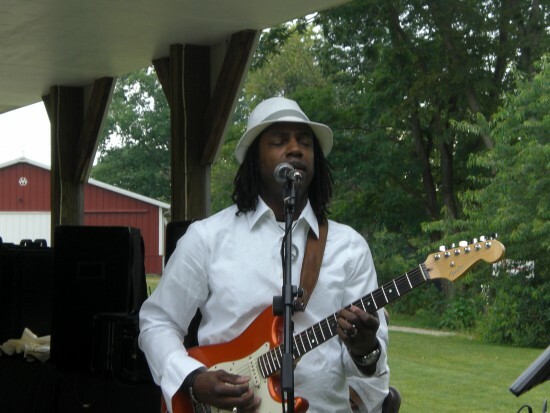 January 06, 2016 • 7:00pm - 8:00pm Donato's Lounge & Restaurant - Solo 7-10pm, 46 Fox Chapel Rd - 412-781-3700- for resv. December 31, 2015 • 7:00pm - 8:00pm Trapuzzano - TRIO - NYE - 9p - 1a - 5533 Walnut St. Shadiside - 412-688-8727 for resv. December 30, 2015 • 7:00pm - 8:00pm Anthony's coal Fired Pizza - 5:30 - 7:30 - Canonsburg location 102 McDowell - 724-941-4900 for resv. December 18, 2015 • 7:00pm - 8:00pm Lula of Sewickley - Solo - Sewickley, 515 Broad St, 412-749-1200 for resv. December 17, 2015 • 7:00pm - 8:00pm Cioppino, Trio - Every Thursday in the Strip, 2350 Railroad St. 412-281-6593 for resv. December 16, 2015 • 7:00pm - 8:00pm Anthony Coal Fired Pizza - Solo - Canonsburg, 102 McDowell ln, 724-941-4900 for resv. December 11, 2015 • 7:00pm - 8:00pm Lula of Sewickley, Solo - 515 Broad St. Sewickley - 412-749-1200 for resv. November 06, 2015 • 7:00pm - 8:00pm Lula Sewickley - 8-11pm - 515 Broad St. - 412-749-1200 for resv. November 05, 2015 • 7:00pm - 8:00pm Cioppino - Every Thursday in the Strip - 2350 Railroad St. 412-281-6593 for resv. Lenny Kravitz, Prince, Outkast, Earth Wind & Fire, Jimi Hendrix, Simply Red, James Taylor, Elton John, MJ, Rick James, Commodores & Blackstreet and many, many more. We strive to keep the music pure. We do not use tracks with our music. What you see is what you get as far as the Trio is concerned. Jimi Hendrix Experience, Prince more recent performances - Maroon 5, real band effect.